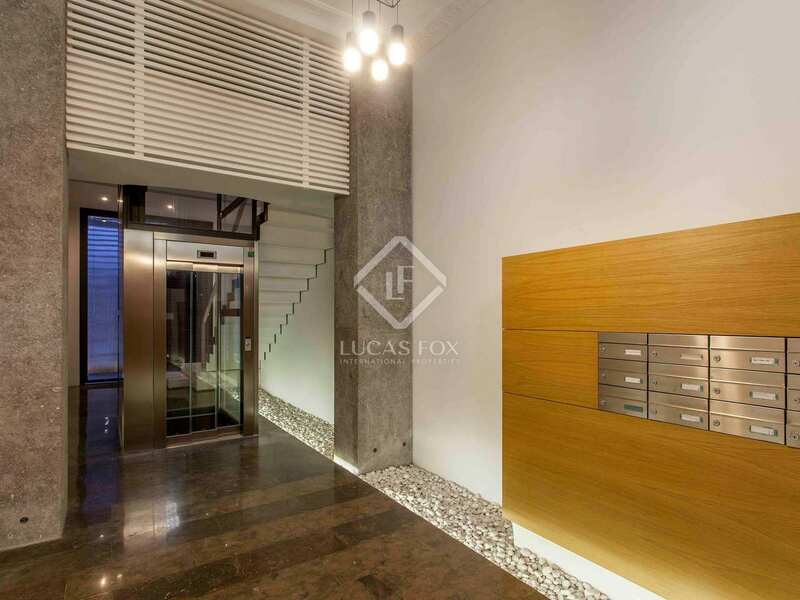 The building's renovated entrance hall acts as an attractive prelude to the exclusive property for sale found on its fifth floor. 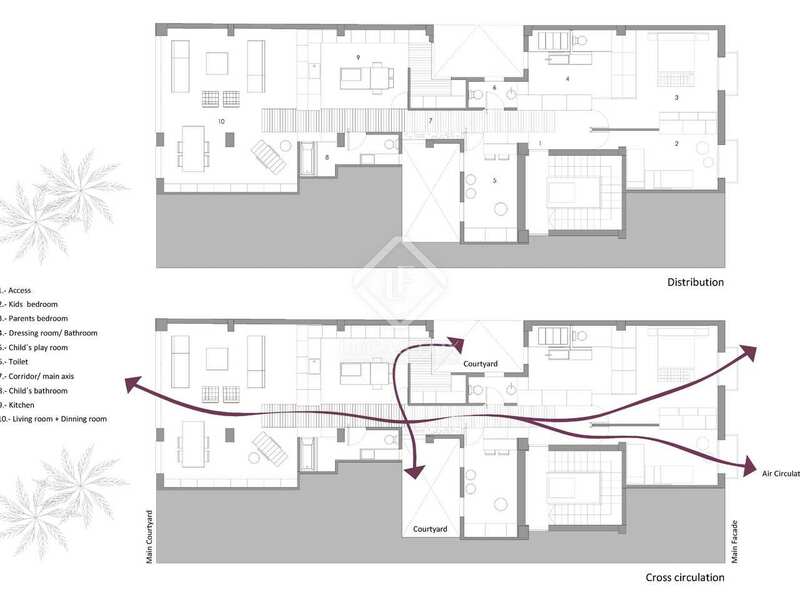 The apartment opens up to a hall which places the bedrooms on one side overlooking the façade and the living area to the rear. 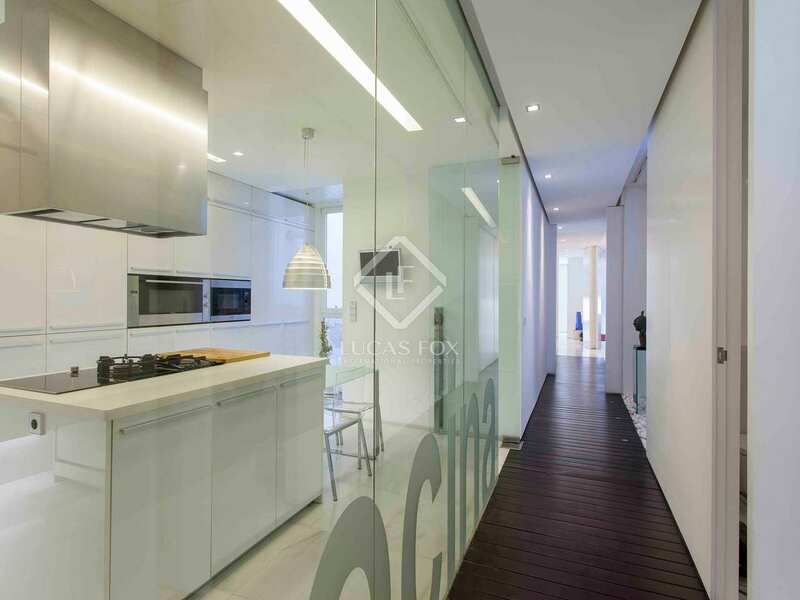 The living area includes a living room and dining room that features a large floor-to-ceiling glass wall which increases the sense of space thanks to the views and the light coming through it. 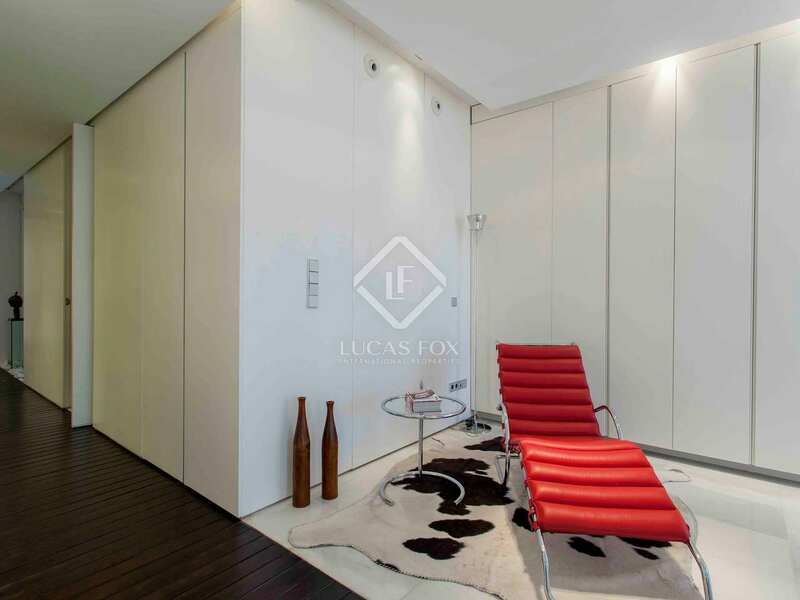 This is a quiet, bright space with ethereal, minimalist design. 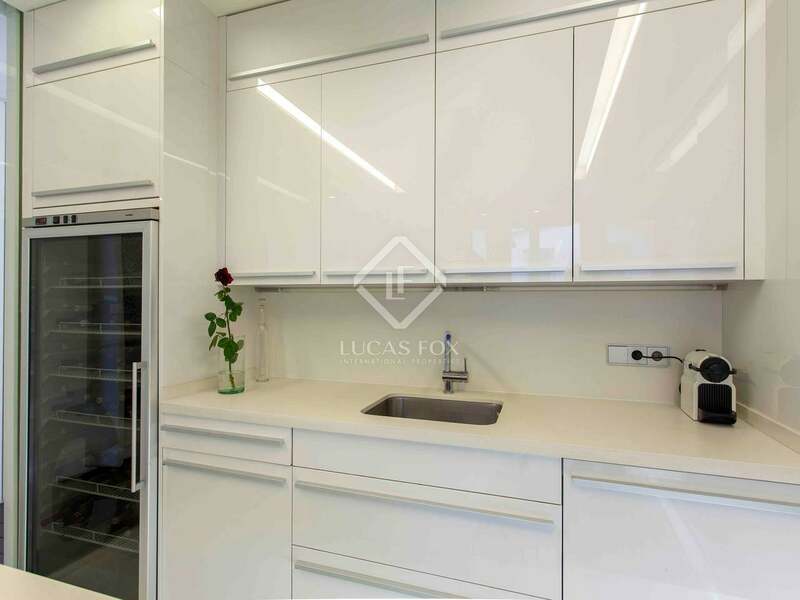 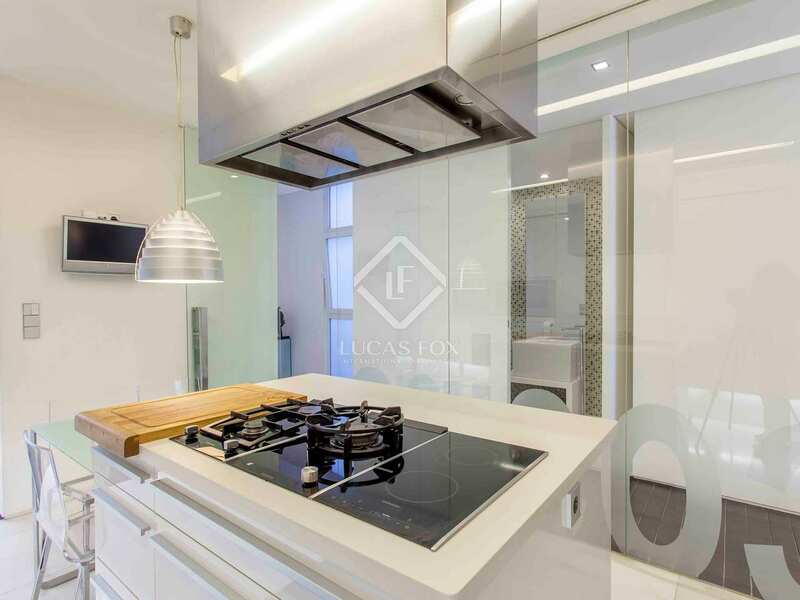 Next to this is the kitchen which is semi-open because of the glass elements that compartmentalize the spaces. 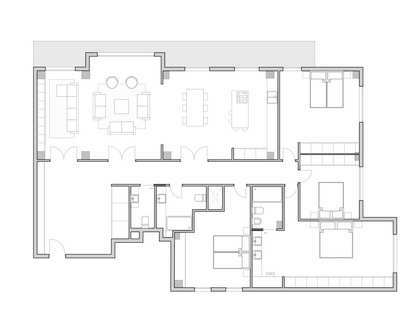 It is decorated in light shades and has clean lines; in-keeping with the rest of the home and connected to the lounge, the hall, and the lobby. 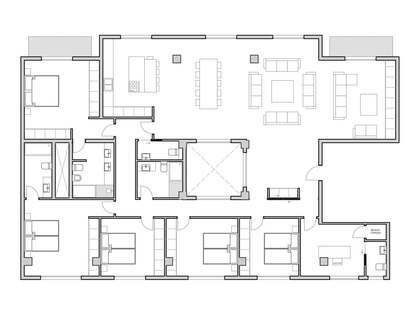 Discreetly tucked away we find the utility room as an annex of the kitchen and connected to a patio. 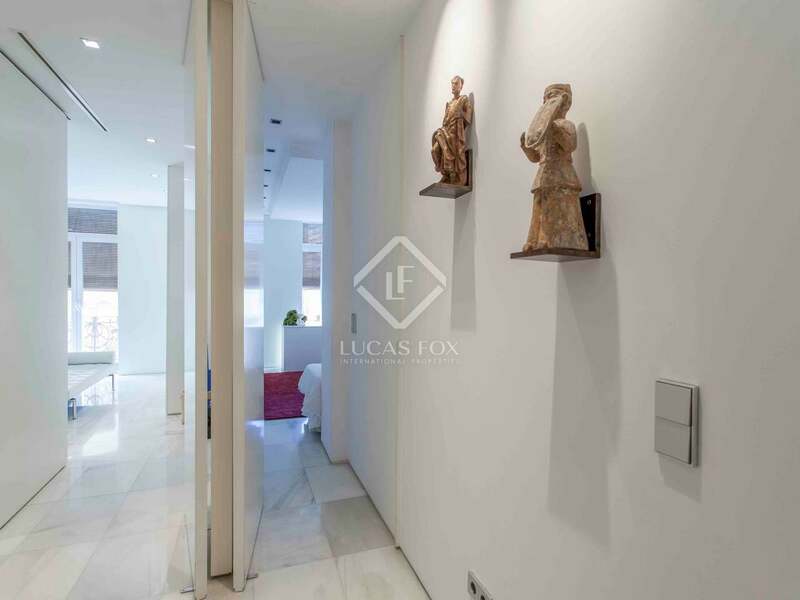 The living area is completed by an attractive bathroom in the middle area of the property, overlooking one of the 2 patios. 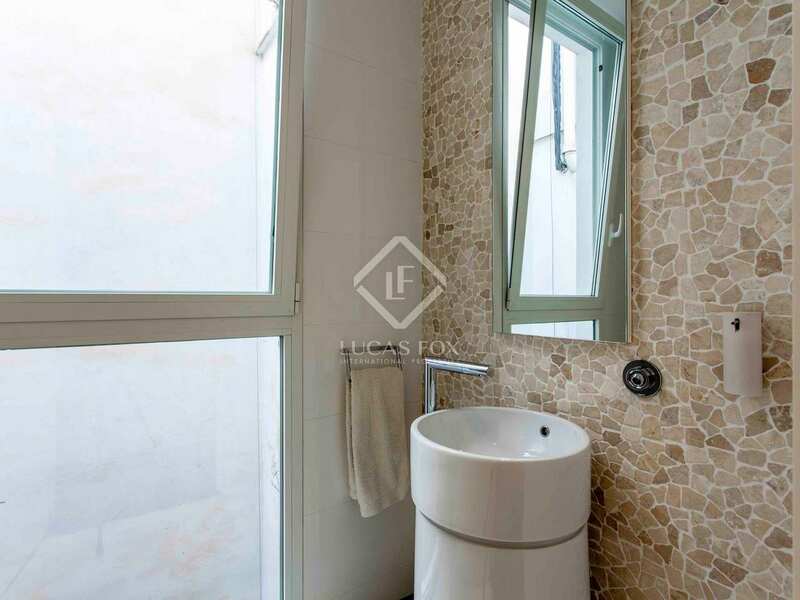 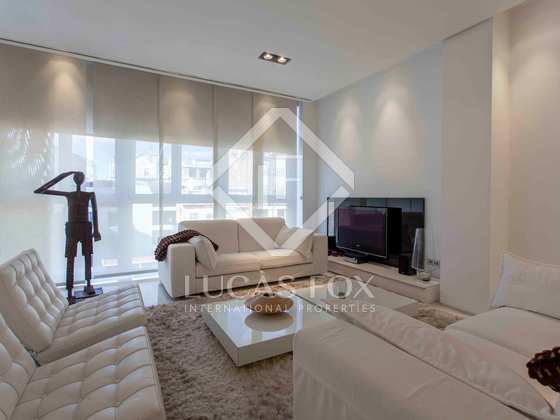 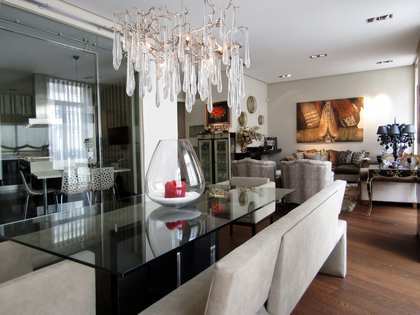 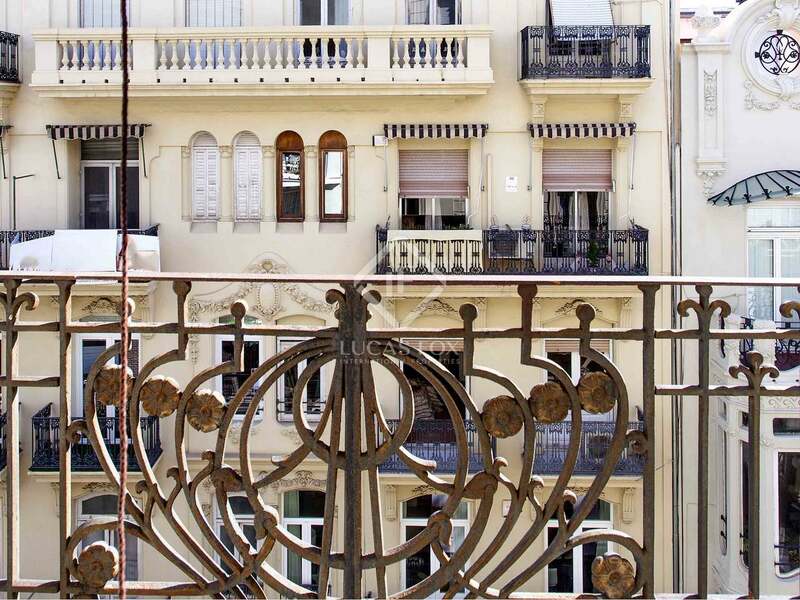 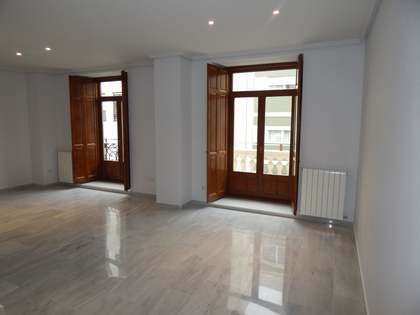 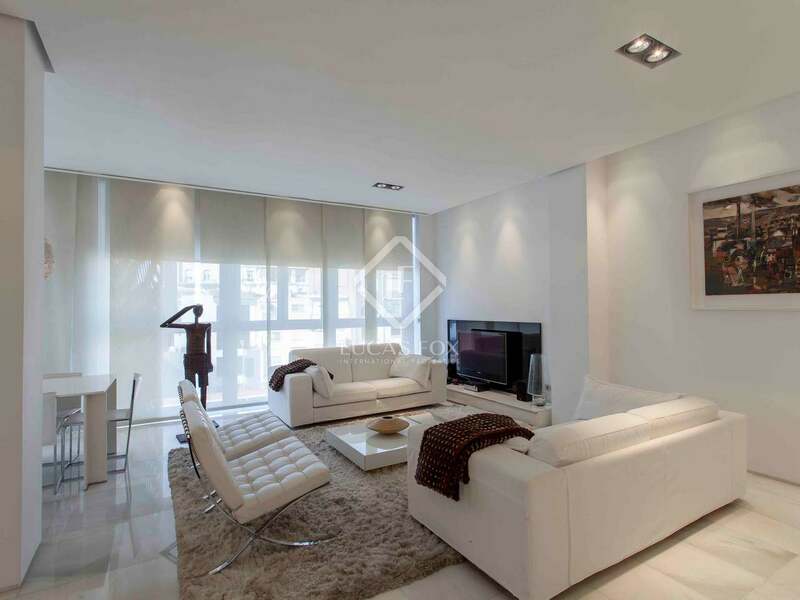 Two double bedrooms occupy the entire width of the building's facade and have balconies over Calle Conde Salvatierra. 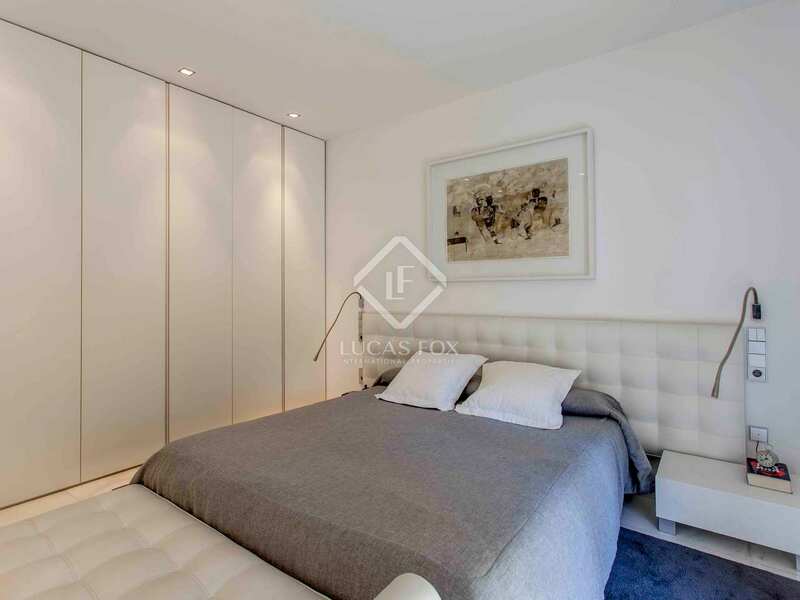 The master bedroom has a spacious bathroom en suite, and most of its walls are storage spaces. 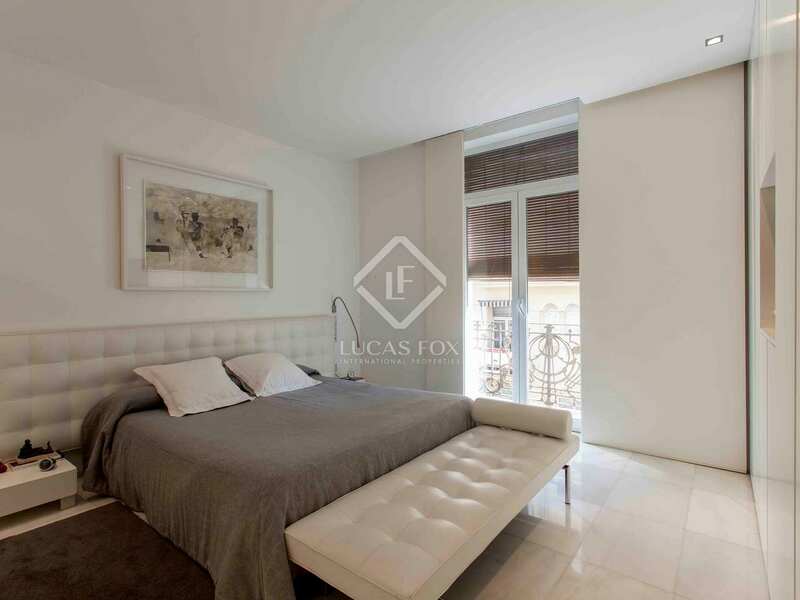 A third bedroom with 2 windows over the patio completes the sleeping area. 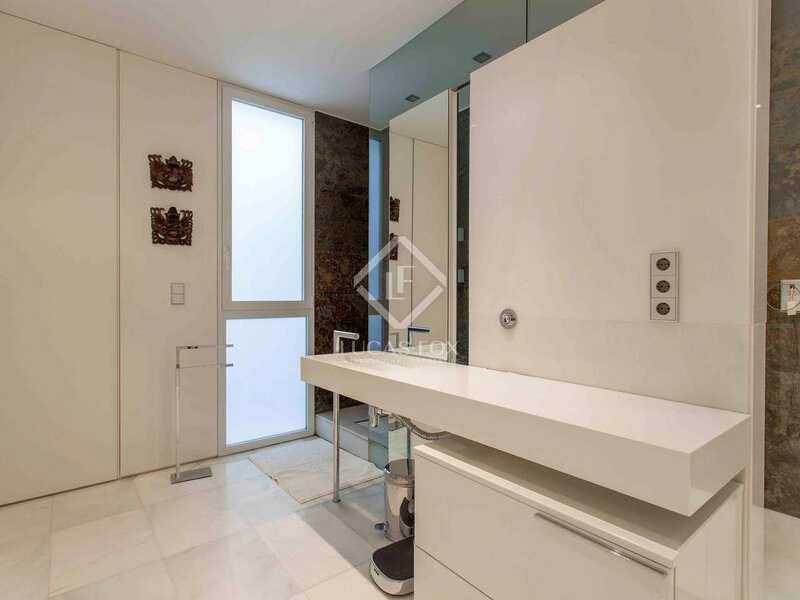 In addition to the en-suite bathroom, and next to the bedrooms, there is a second bathroom that serves the 2 secondary bedrooms. 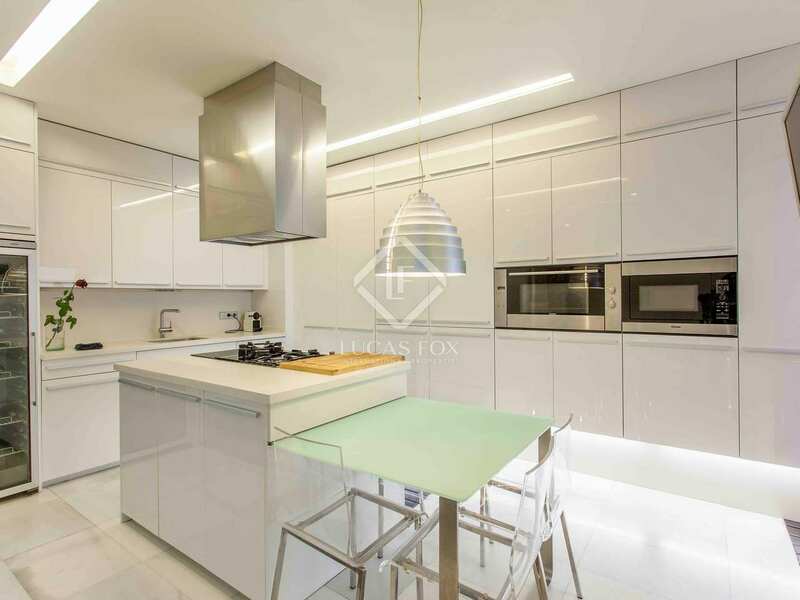 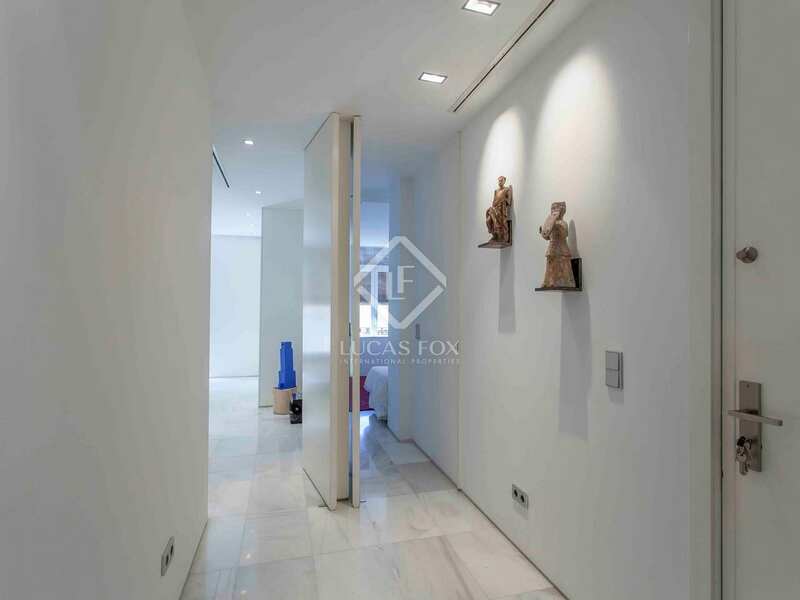 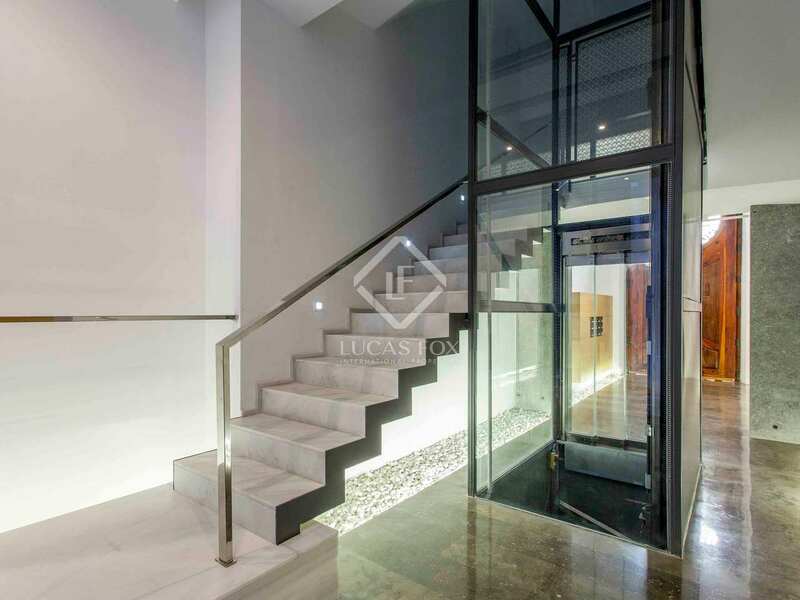 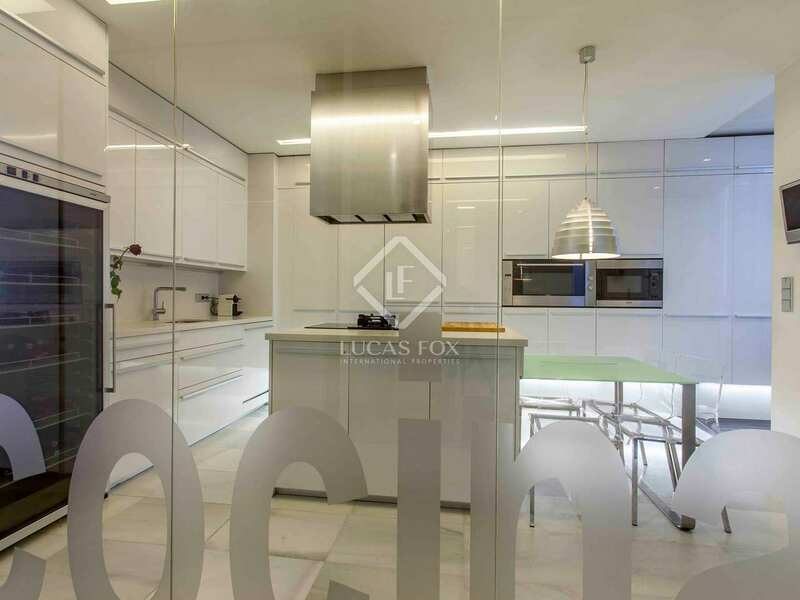 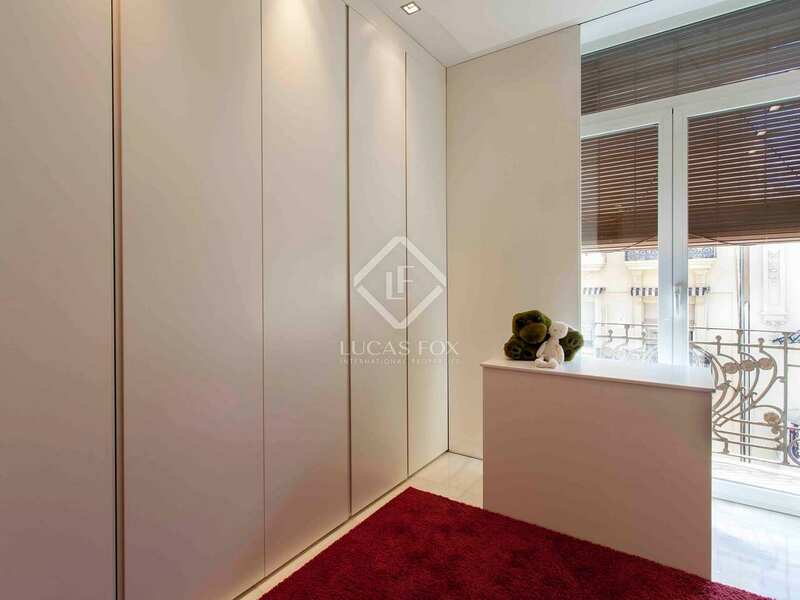 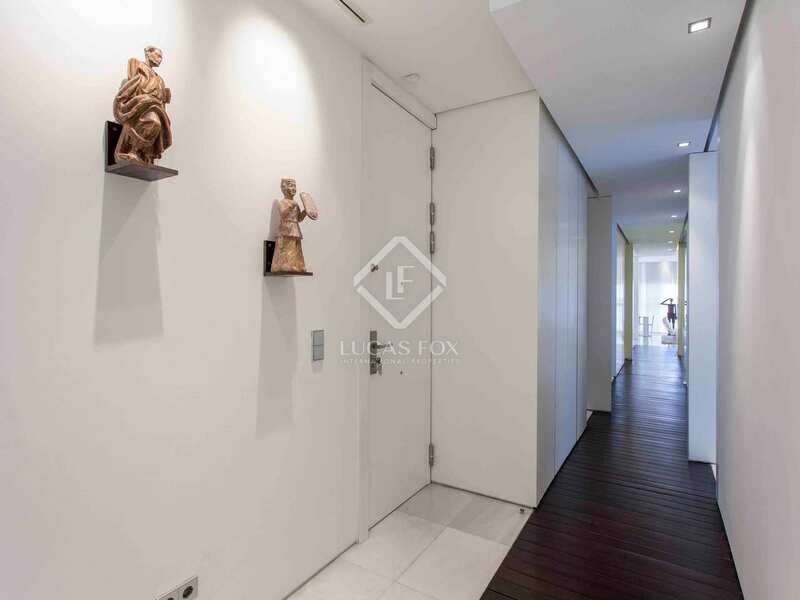 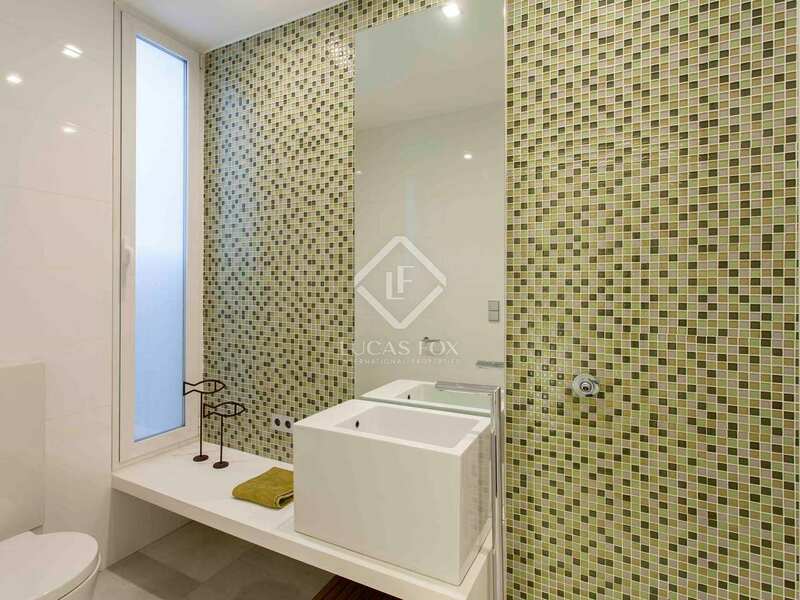 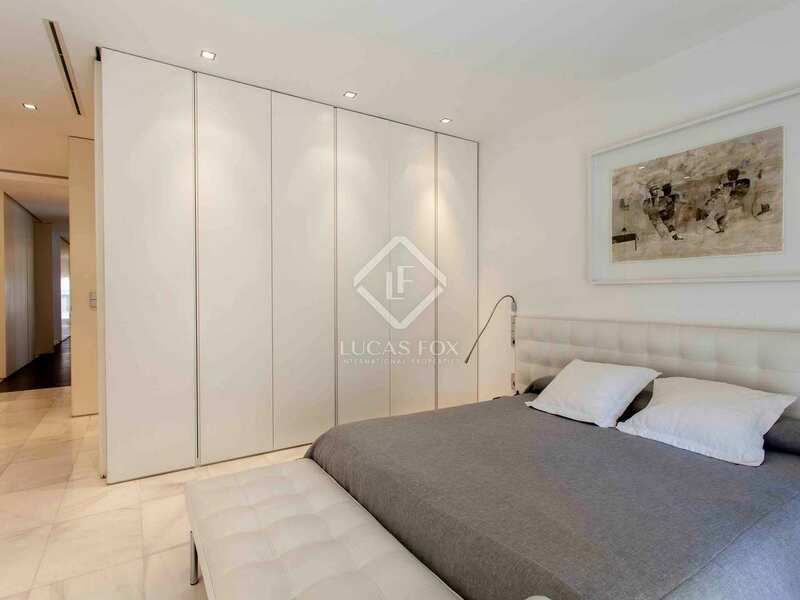 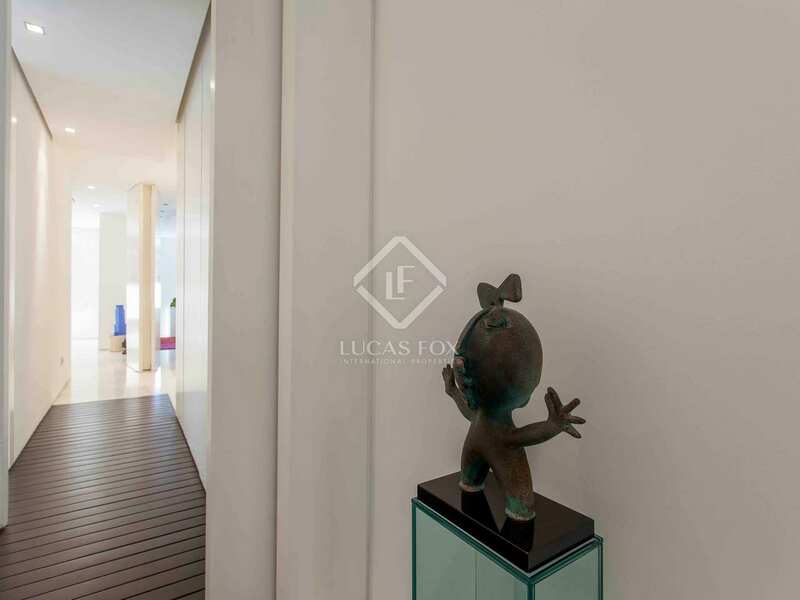 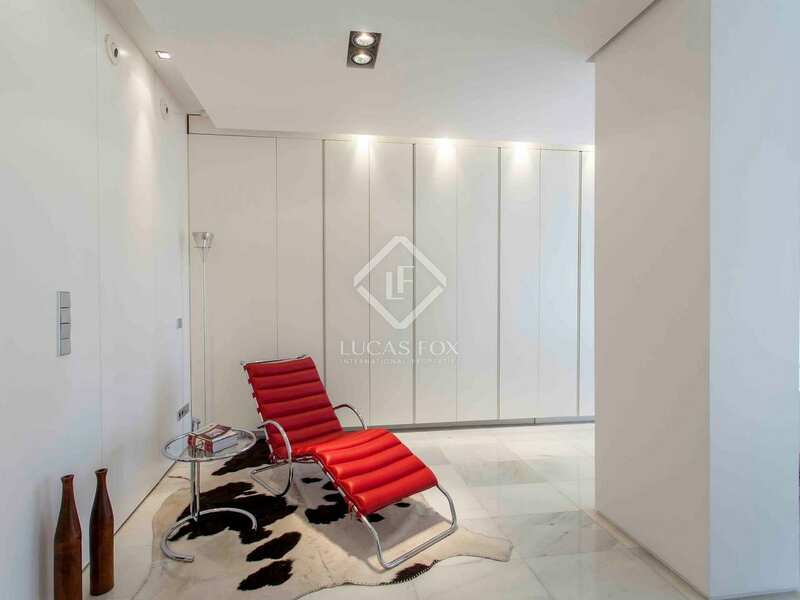 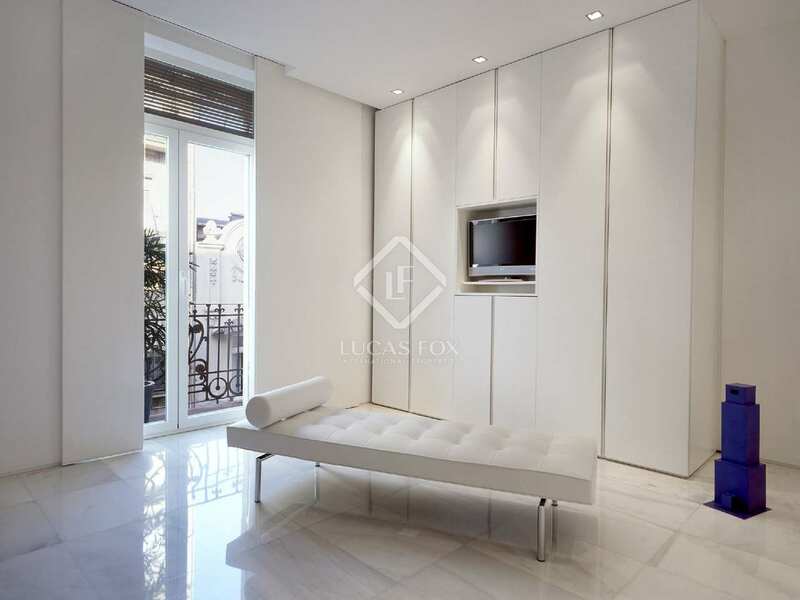 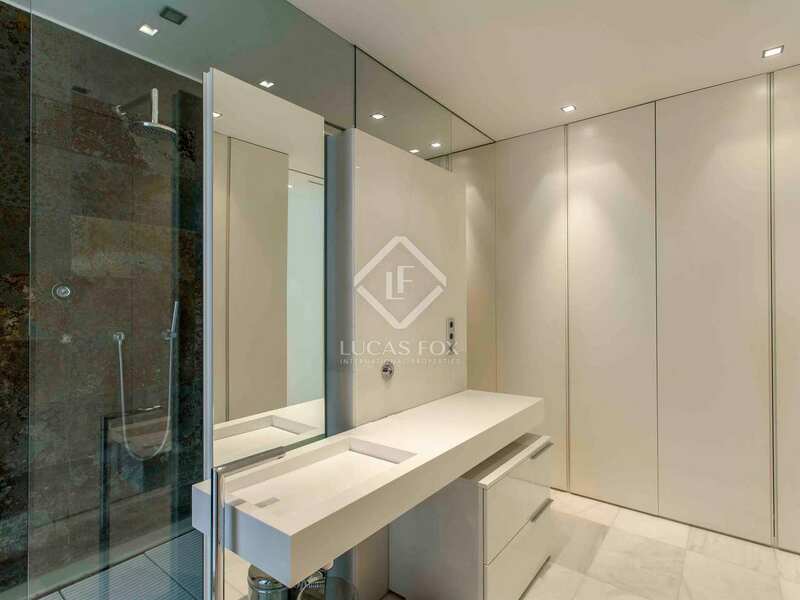 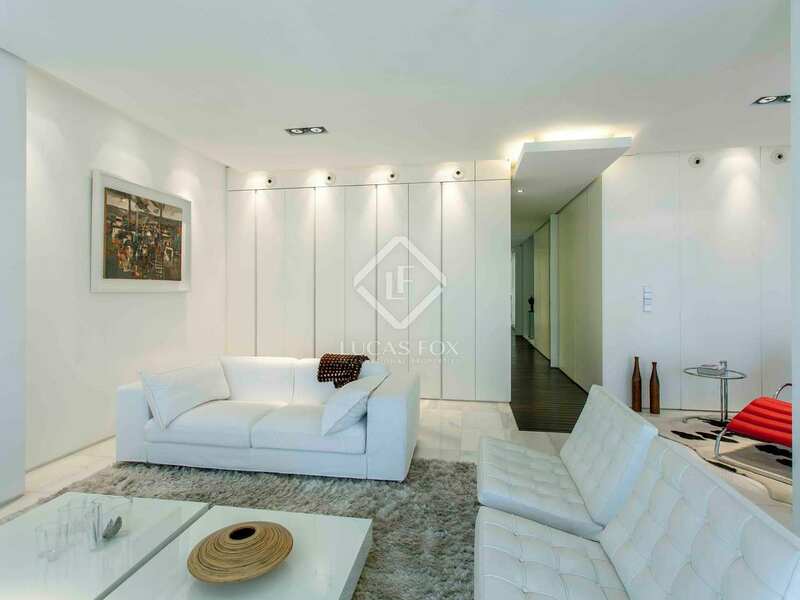 Elegance, art, and purity in this exclusive home, in a building with the same level of style, where contemporary design meets Modernista elegance. 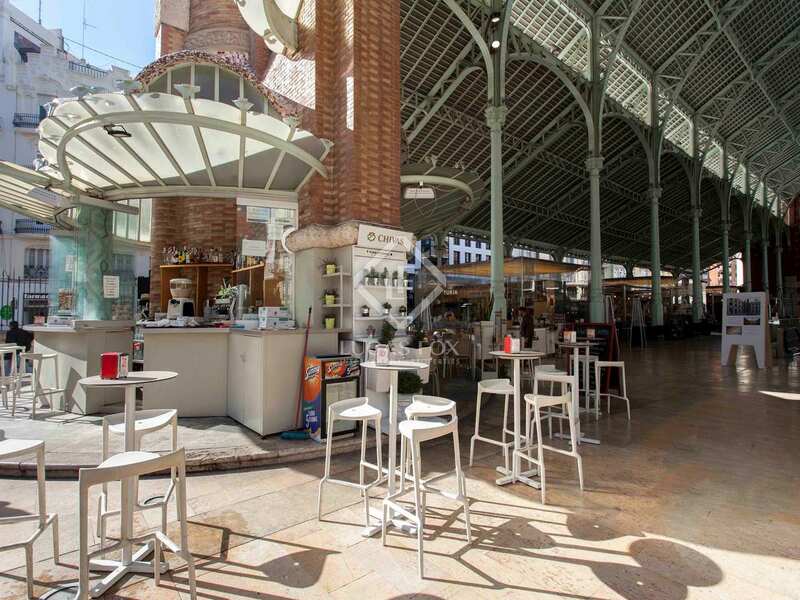 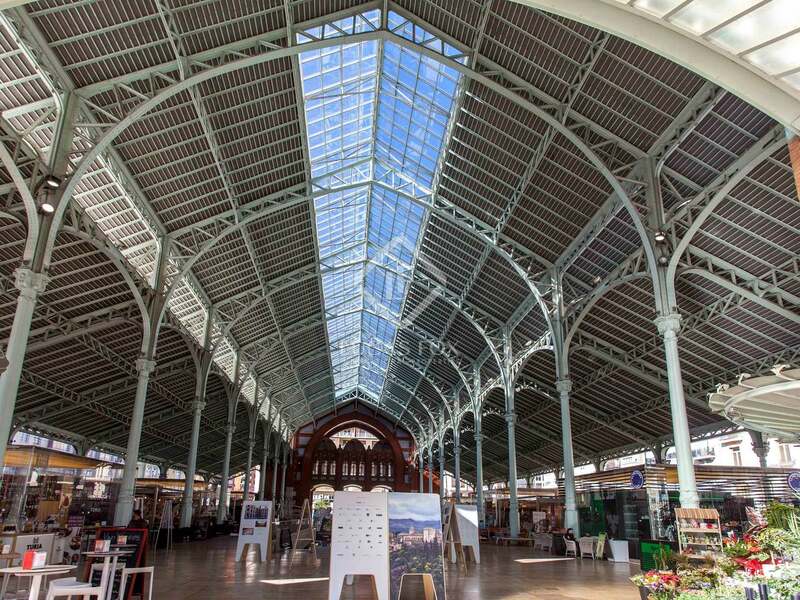 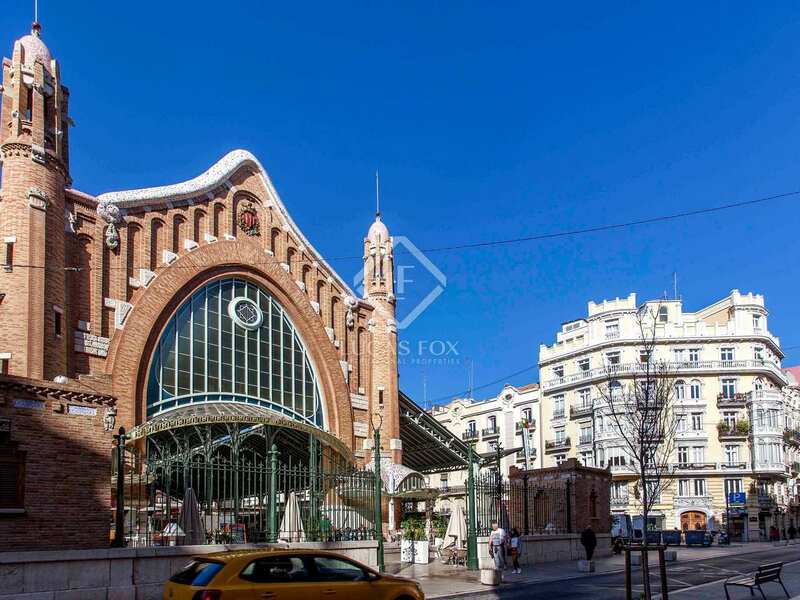 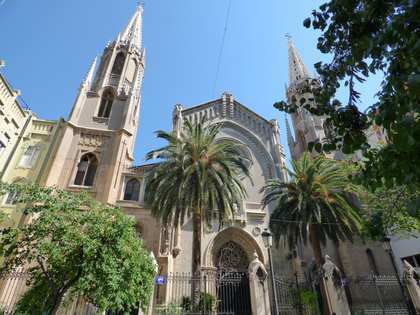 It is also close to the gardens of the old Turia River as well as the exquisite shops in the city and its emblematic buildings such as the Mercado de Colón. 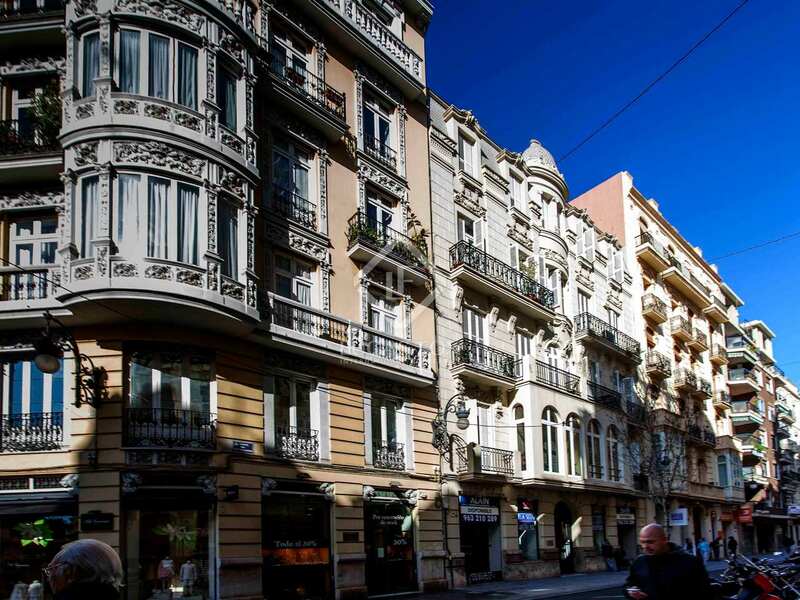 The architecture of the buildings on Calle Conde Salvatierra make it one of the most elegant streets in the city.